There’s no way to know what the future may hold. As such, the right insurance can be a big asset for you, both today and down the road. While not as popular as traditional forms of coverage, critical illness protection can be the saving grace your family needs in times of trouble. Even the best planning in the world can’t prevent critical illnesses. If you are the breadwinner in your family and are diagnosed with a life-changing illness, there may be no way to recoup losses and cover steep medical debts. No one anticipates critical illnesses to strike, but sadly, a majority of the population will experience cancer, heart attacks, or strokes at some point in life. Heart disease contributes to one in four deaths in the United States, while nearly half of adults will receive a cancer diagnosis. Additionally, close to one million Americans will suffer from a stroke. With the growing presence of these diseases, protection can often be the difference between financial solvency and hard times. 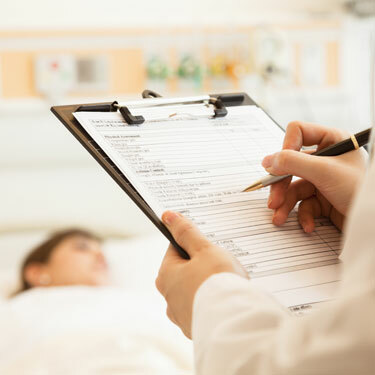 A critical illness policy, however, can mitigate these risks, providing a lump sum payment should you be diagnosed with of the included conditions. Valuable in paying medical bills and supporting your family while out of work, this form of insurance can make a world of difference should something unthinkable come to pass. When you want to protect your family and your health, a critical illness insurance policy from The Jordan Insurance Agency can be an excellent starting point. Our knowledgeable agents can help you design a policy based on your needs, including term and whole life options, guaranteeing a customized safety net should illness strike later in life. Additionally, we can also provide plan variations and riders designed to save you money and provide additional protection. When you’re ready to take a step forward in protecting your family, our team is standing by. Call today at 704-926-7565 or get a free quote online!